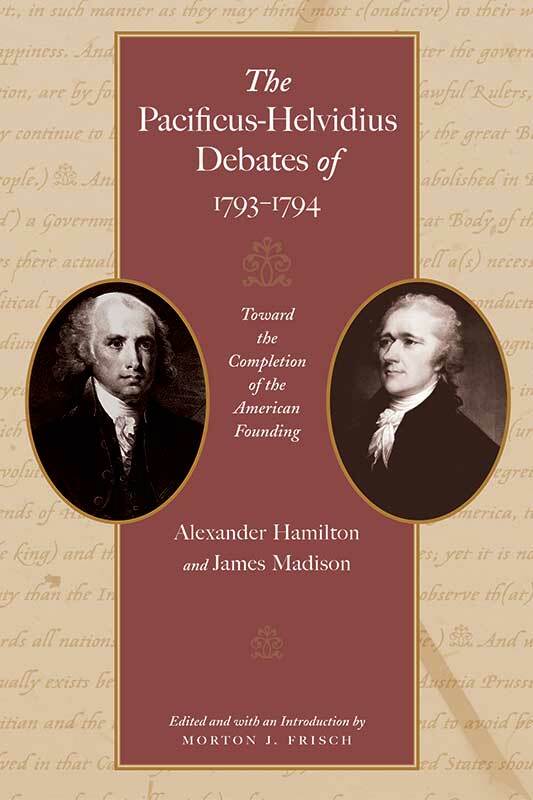 The Pacificus-Helvidius Debates of 1793–1794 matched Hamilton and Madison in the first chapter of an enduring discussion about the proper roles of executive and legislative branches in the conduct of American foreign policy. Ignited by President Washington’s Neutrality Proclamation of 1793, which annulled the eleventh article of America’s treaty with France of 1778, the debate addressed whether Washington had the authority to declare America neutral, despite the early alliance treaty with France. The Liberty Fund edition brings together for the first time all the relevant original documents of this controversy. Morton J. Frisch (1923–2006) was Professor Emeritus of Political Science at Northern Illinois University.